Good evening. I thought I would share with you this quick make Mothers Day card that I put together whilst I'm pondering my next project. I started with a 6x6 scalloped card blank. The image I used was from Elisabeth Bell and is called Sweet n Sassy. I coloured it using Spectrum Noir pens. 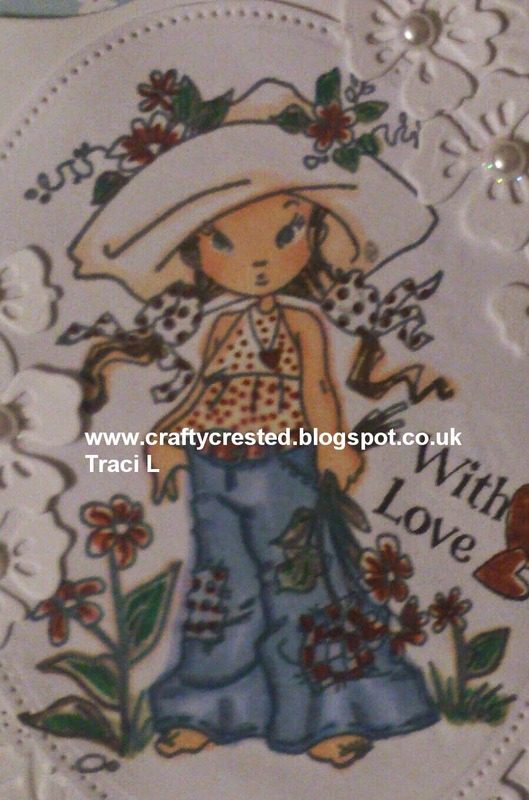 I added various die cuts from my craft stash, pearlised flowers and heart embellishments. The backing paper I used was from the Pink Petticoat Wild Blossom Collection. Darling image and I so love all the details you've added! Thanks for sharing and joining us at Inspiration Destination. Hope to see you again and good luck! precious image and coloring. Cute card. 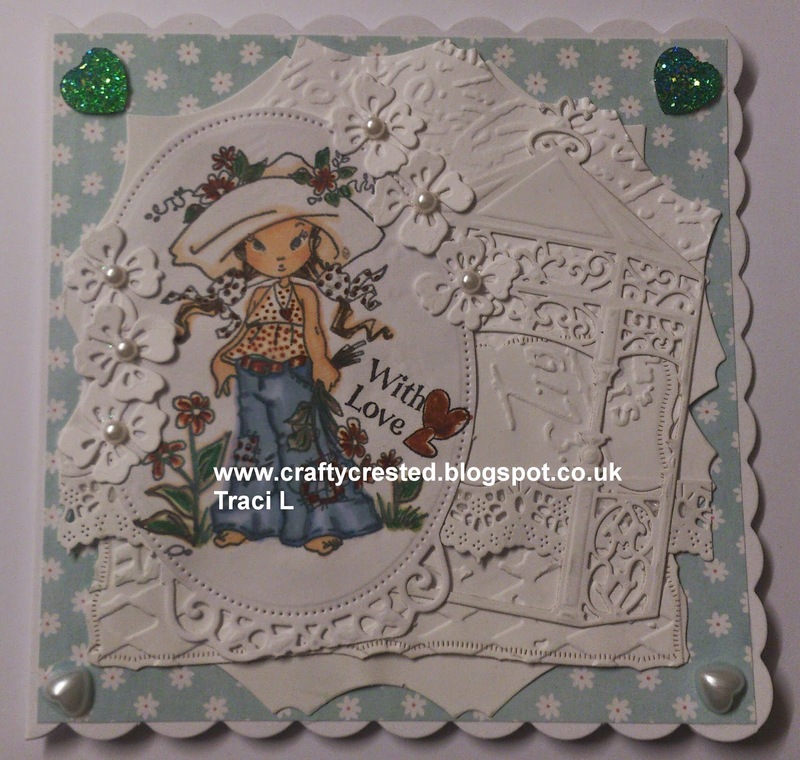 Traci this is a wonderful creation with great attention to detail and perfect for our ‘ANYTHING GOES’ challenge. Thanks for sharing your talent with us. Good luck. Very lovely card. I love the detail that you put into it. Thank You for sharing with us over at The Robyn's Fetish Challenge Blog. Great card! I really like all the bling. Thanks for joining us at Little Red Wagon. Wow, Traci, this is so lovely! I love the Elisabeth Bell image, and she's so beautifully coloured! As for the delicate die-cuts - wow!! Thanks for joining in at Dream Valley!